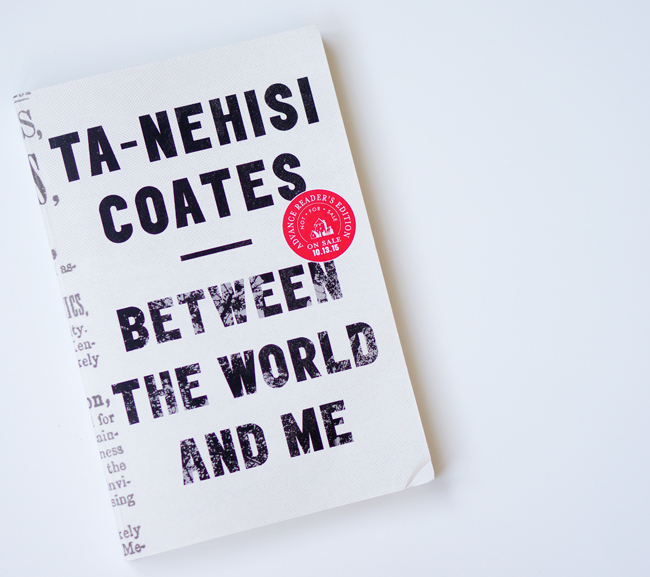 Among other things, Ta-Nehisi Coates's upcoming book Between the World and Me merges the spirits of Richard Wright and James Baldwin in a single work. That's no small feat, especially given the tendency of commentators to regularly pit Wright and Baldwin against each other. But here, in this book, we witness a notable convergence between Wright, Baldwin, and Coates. During the 1930s, Wright penned a poem about lynching, which he entitled "Between the World and Me." The speaker of the poem "stumbled" upon the aftermath of this dreadful incident--the kind of incident white people enacted against the bodies of black people all too often. "Between the World and Me" was not the first lynching poem; instead, Wright was contributing to a prominent and growing paradigm among African American writers -- W. E. B. Du Bois, Claude McKay, and James Weldon Johnson, to name a few -- of documenting atrocities committed against black bodies. Wright's writings on the violence against black bodies as well as his later investigations in Native Son of "fear" as a prominent condition for black men haunt Coates's book. Between the World and Me is largely inspired by the contemporary violence committed against black people, primarily the murder of black boys and black men such as Michael Brown and Eric Garner by police officers. In the early chapters of the book in particular, Coates references assaults "upon our bodies," by which he means black bodies. Back in 2013, Coates wrote an essay on his blog "Is James Baldwin America's Greatest Essayist?" He had just finished re-reading Baldwin, and was excited about what he was learning. "[Baldwin's] encounters with racism leave him on the edge of violence and hatred," wrote Coates, "but The Fire Next Time is all about why one should walk back, all about why you should never judge yourself by the standards of the owner of the boot presently on your neck." Near the close, he notes that Baldwin's essays are amazing acts of intellectual and emotional courage." No doubt, they were a source of inspiration for what Coates produced. Wright and later Baldwin left the U.S. for Paris. Over the last few years, Coates has been studying French language and nurturing an interest in the culture. He has traveled to France on a couple of occasions, and he will spend a year there next year. So in some ways, the Wright, Baldwin, and Coates saga will persist. We'll be all the better for it. Wright and then Baldwin and Ralph Ellison were some of the early models of the black artist-writer as a kind of spokes person on African American circumstances and culture. They were in short blueprints for those groups of academics like Cornel West, bell hooks, and Henry Louis Gates, Jr., who were presented as black public intellectuals during a key moment in the late 1980s through the 1990s. Coates is somewhere in those realms, but he's also somewhere else as a writer and thinker. (Give me a bit: I'll try to get to some of that in a later entry). This fall, as commentary on Coates's book begins to appear, I suspect we'll see praise for this touching letter from a black father to his son. That's important. It's also important for readers to get the chance to overhear how this intelligent black man writer is communicating the workings of anti-black racism to one black boy, and by extension many black boys. That's good. I hope, though, that some of the commentators will also mention the ways that Between the World and Me extends a long line of works by African American writers. As Coates points out to his son, "It is important that I tell you their names, that you know that I have never achieved anything alone." From the title to the epistolary setup of the book, Coates creatively drew on Wright, Baldwin, and others in order to produce this timely and powerful book. Thanks for this Howard. I think Coates is clear about Legacy and very intentional in this regard, as is his publisher. This approach is obvious but may reveal as much about publishing, editing, and title positioning as it does the evolution of our literature. As I have always said your work on anthologies, black arts, and the business of books hints at techniques and tactics which exist in the world of literature. My mantra has been how do we influence the industry as much as we do the literature. The notion of the individual artist warrior is a rather limited position.